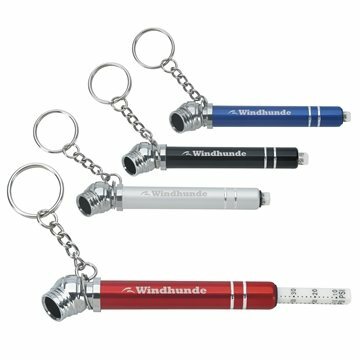 This stylish mini tire pressure gauge is sure to make an impact! Featuring a keyring, it will also holds your keysIdeal for auto industry. Improve gas mileage by keeping tires properly inflated. All customer were VERY pleased. they looked exactly as I anticipated. Loved the price, quality and presentation. didn't dislike anything.. I loved the price most of all. Nothing to complain about. Loved the price a lot. Definitely a good buy for our numerous events lined up the rest of the year. the imprinted logo was perfect! Great customer service. I felt comfortable that we would get our product on time and in good condition. Alicia was very helpful and responsive and walked me through the entire process.